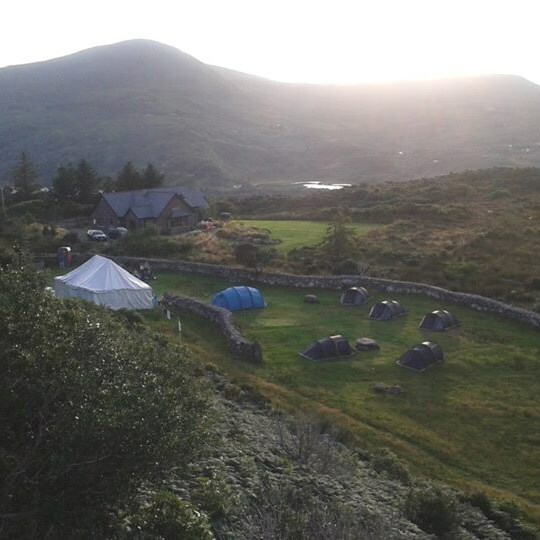 Cappanalea OETC has the facilities to cater for two independent camp-sites on our grounds. When camping with us groups can book in on all the activities available at Cappanalea OETC, combine the range of activities with camping in some of the most beautiful parts of the country and you will find it hard to beat what Cappanalea is offering. Campers have full access to the Cappanalea OETC’s facilities during their time here which involves the use of our camping equipment should it be required. Cappanalea OETC can arrange for the transport to and from Killarney Train Station and give assistance and direction on all local arrangements including food requirements, tours, hiking venues and a wide variety of outdoor activities including Rock Climbing, Sailing, Canoeing, Orienteering, Kayaking, Abseiling and Windsurfing. 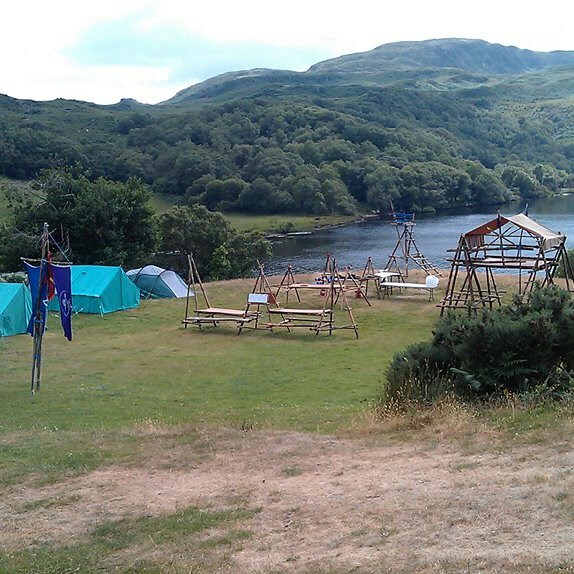 On a Cappanalea OETC Standing Camp your scouts or guides have an opportunity to participate in a range of outdoor activities incorporated into the traditional scouting theme. Also included is an evening in the local sports complex; pioneering projects; traditional camp fires, an inter patrol challenge and a day’s tour. On a Cappanalea Standing Camp, Cappanalea arranges all the staffing; catering; equipment; in course transport and programme requirements. All you and your troop or company have to do is turn up in Killarney Train Station with your personal gear and we will take care of the rest. The serviced campsites at Cappanalea OETC provide the ideal base for scout and guide camps offering a superb location and a wide range of adventure sports. The ONE Programme involves a variety of activities and events, such as; weekly meetings, regular hikes, sail training, monthly overnights, periodic longer duration overnights, ceremonies to mark specific events etc. 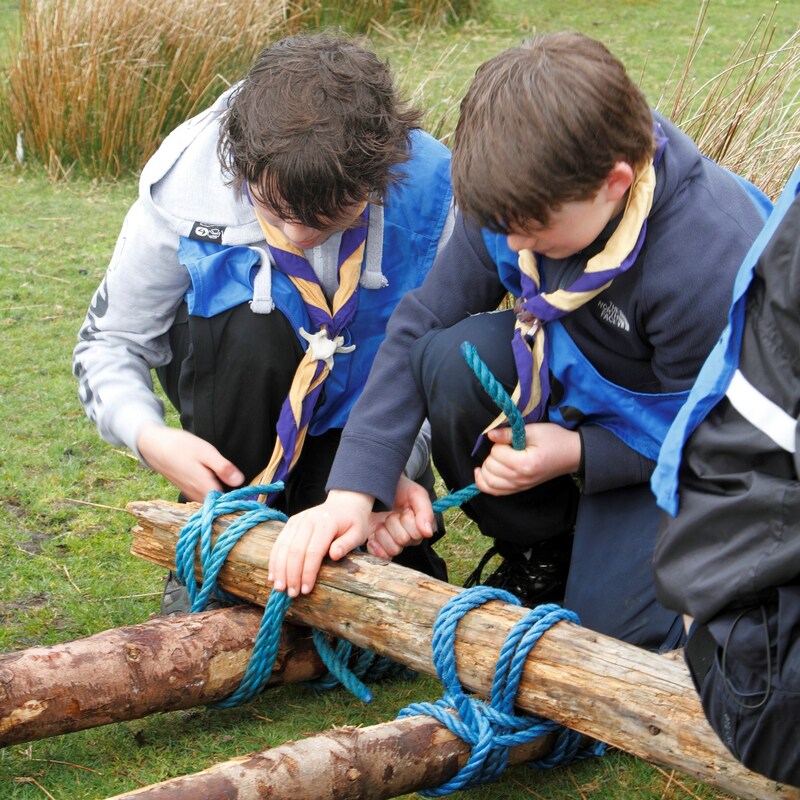 It also involves challenges such as Adventure Skills, Special Interest Badges and the Chief Scout Award. We here at Cappanalea OETC can provide components of the One Programme for Adventure Activities.